A new version of Unicode is coming, and as often people mostly talk about the new emoji. As usual, many people will complain about these symbols, that are no proper characters, but if you look at the Unicode repertoire, there are many symbols that are not letters, and most of them are old, some of them older that computers or the United States: if you have classical eduction you would understand most of them. So I built a small quiz for you to check you know-how of old symbols. None of these are emoji or even related to Asia, in fact people outside of Europe probably don’t understand many of these symbols. 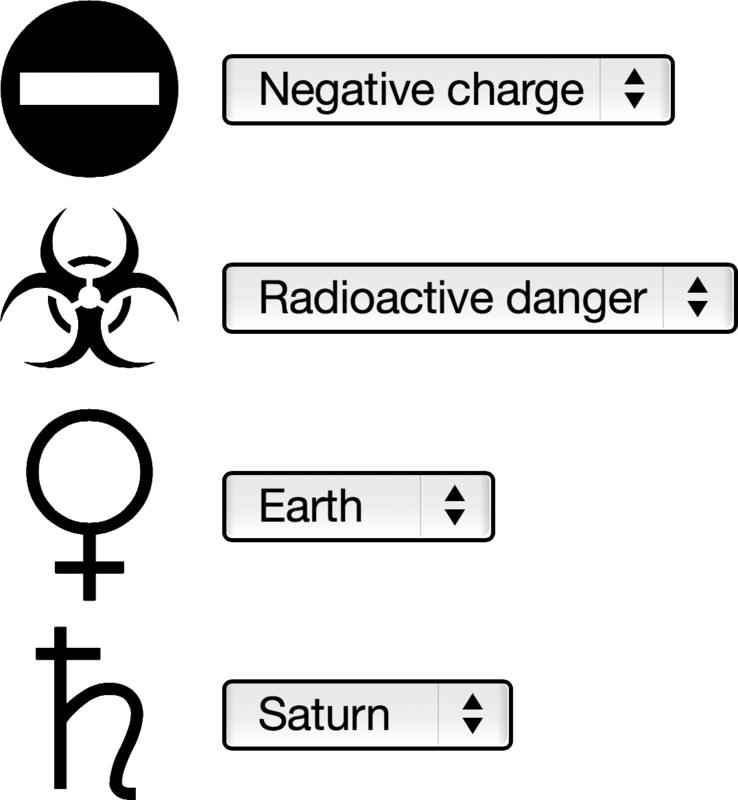 Note that some symbols have multiple meanings, i.e. multiple correct answers. These symbols were commonly used on printed matters: newspapers, timetables, maps. There are, of course, many others symbols, I restricted myself to signs I have seen in use and which meaning I understand. There are some traps, i.e. symbols which are very close graphically. What I find interesting is that this set of symbol is pretty diverse, and has very different origins: mythology, astronomy, electric engineering, games, etc. Edit: the from now shows the correct answers when you calculate the score. This entry was posted in Computer Science, English, General, Ｗeb and tagged Unicode. Right, I did not embed the font properly, rendering should be better now. 12/15. BTW, I was 100% convinced that ♋ were Pisces.